Research shows that there are many digital resources accessible to teachers and students. Some programs are free to use while others require individual subscriptions or school wide subscriptions. Many of these resources provide access from different technology platforms such as computers, laptops, and mobile phones. Comprehensive programs in digital citizenship encompass many aspects of technology integration that need to be considered and they include several lessons. ROSEN is a school database that offers academic information in many different subject areas. If your school district has access to the ROSEN database check with your librarian for access to the digital literacy component. BrainPop is a popular game-based learning platform which incorporates curriculum in different subject areas through cartoons, movies, and interactive activities. The digital citizenship section of the platform guides students through stories, activities, and quizzes to help students learn safe online practices. Common Sense Media has created Digital Compass to help younger students learn about digital citizenship in a fun and interactive way. This platform engages learners with adaptive stories and situations to help develop critical thinking skills. Each learner gets an individualized story depending on the decisions made along the way. Onguard Online is a comprehensive web-based program created by the Federal Trade Commision in partnership with the Stop Think Connect campaign supported by the Department of Homeland Security, and part of the National Initiative for Cybersecurity Education led by the National Institute of Standards and Technology. This platform offers students, parents, teachers, and administrators several digital citizenship activities such as quizzes, videos, media, and blogs. Most of the activities work better on a computer. Some of the media and videos are glitchy on tablets and phones. Digizen is a project initiative from Childnet International in collaboration with the Department for Children, Schools and Families and Becta. Digizen offers resources for parents, teachers, and students with a format that is appealing to teens. The platform contains stories and games. 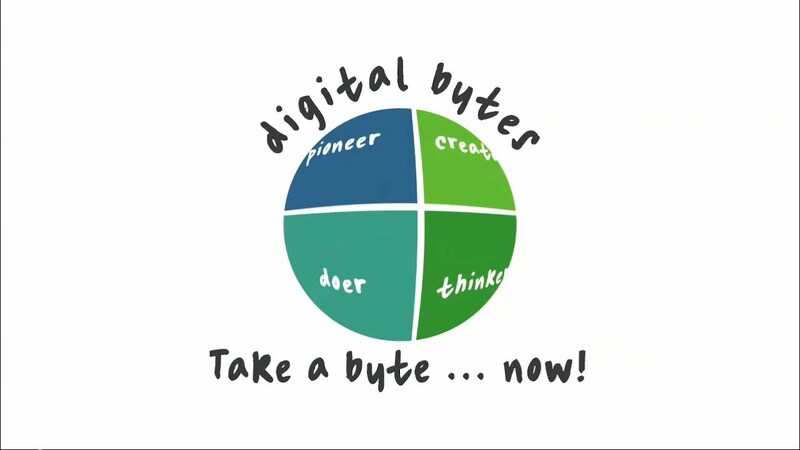 Digital Bytes is a student self-directed program that provides a series of modules to reflect on several aspects of digital citizenship. 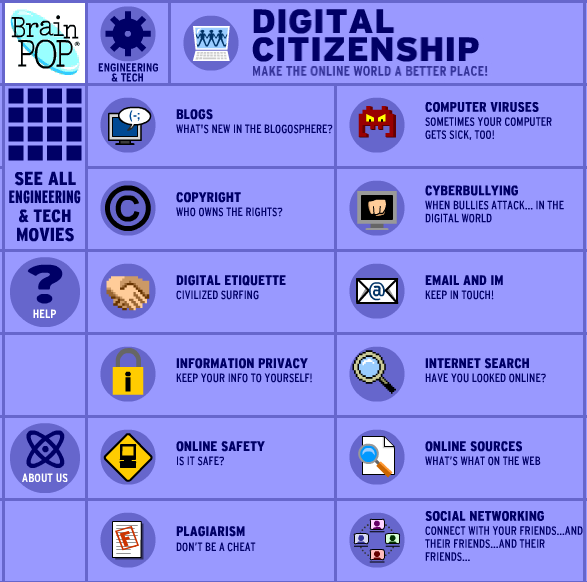 It contains videos, activities, and discussions, One of the unique features of this platform is that it provides users with an avenue to demonstrate knowledge and understanding of digital citizenship issues by creating materials that can be submitted to Common Sense Media which can become part of the digital bytes curriculum. This allows students to see their impact in helping others become effective users of digital media.